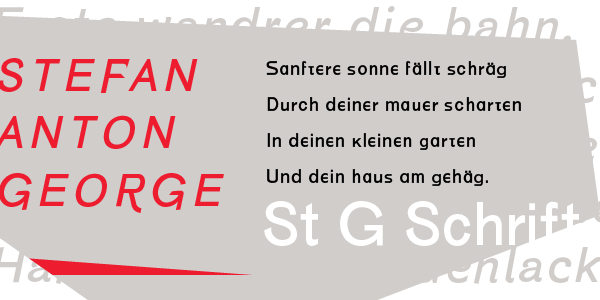 St. G Schrift is a font based on the type designs of German poet Stefan George circa 1907. 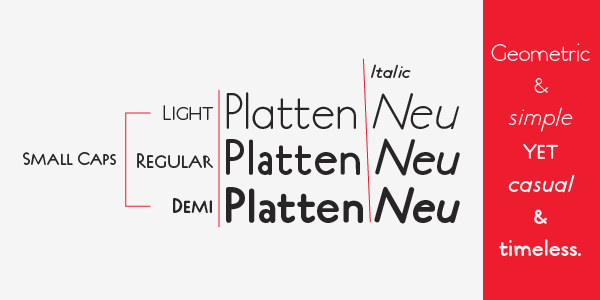 This sans-serif face featured a few variations found in books published by George in Berlin. 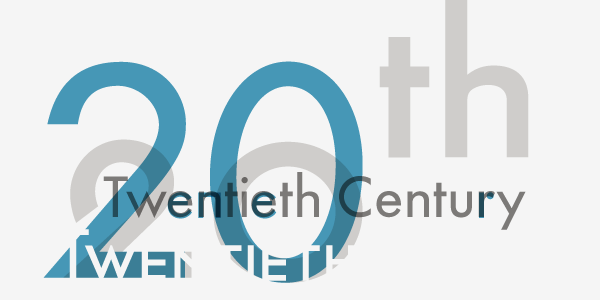 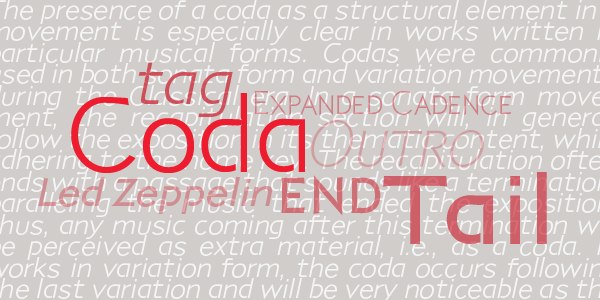 One features many unusual letterforms, while Two is a more standard sans. 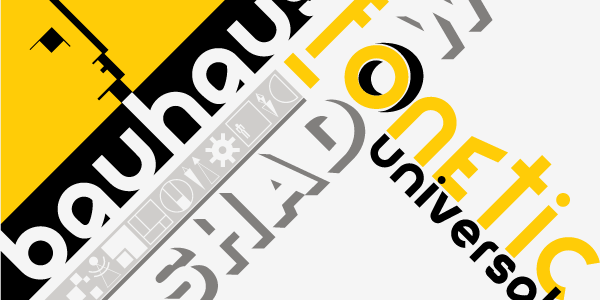 The Italic version is a new design Colin Kahn.